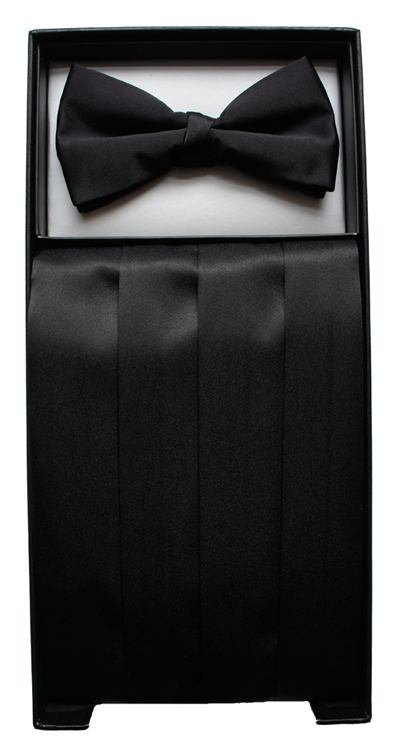 Made from a good quality satin, this black cummerbund & bow tie set is ideal to wear at black tie formal occasions. The Cummerbunds have a discreet adjusting mechanism at the back with a metal clasp for fastening. This allows for a snug fit and enables adjustment to waist sizes from 28" - 44". Many thanks for the speedy dispatch of my items. I was reall ..